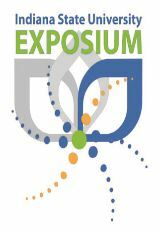 Exposium, the annual celebration of student research and creativity, is the first Week of April! Monday, Tuesday, and Thursday from 10 a.m. to 3 p.m. Exposium will be held in the Cunningham Memorial Library Events Area, where students display posters of their research projects and examples of creative projects they have accomplished. Exhibits are up each day and authors will be present at various times to answer any questions. On Wednesday, April 3, Exposium will move to the Landini Center for Creative and Performimg Arts for a day of performances. For a full schedule of events please visit http://researchexpress.indstate.edu/symposium.htm, or call Jenifer Pollom at ext. 2520 with any questions. Why: Consultants will report back to the campus on their findings from the fall panel discussions and focus groups as well as the recent campus wide survey. Who: All faculty, staff, and students at Indiana State University are encouraged to attend.